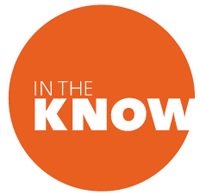 Watch the 34th season of In The Know at its new night Wednesdays at 7:30pm on WOSU TV. Watch Wednesdays at 7:30pm on WOSU TV. This ever-popular quiz program hosted by Bill Schiffman attracts enthusiastic participation from high schools throughout central and southern Ohio. The program host asks questions of eight students (four on each team), with judge Manuel M. Wilson officiating and tabulating the scores. For the history of In The Know, view the list of past champions. The questions are based on general high school subjects ranging from science to visual arts. The Ohio State University awards scholarships to the top four high school teams. All games are played at our studios at the Fawcett Center on Ohio State’s campus. Due to copyright laws, episodes of In The Know are not available online.